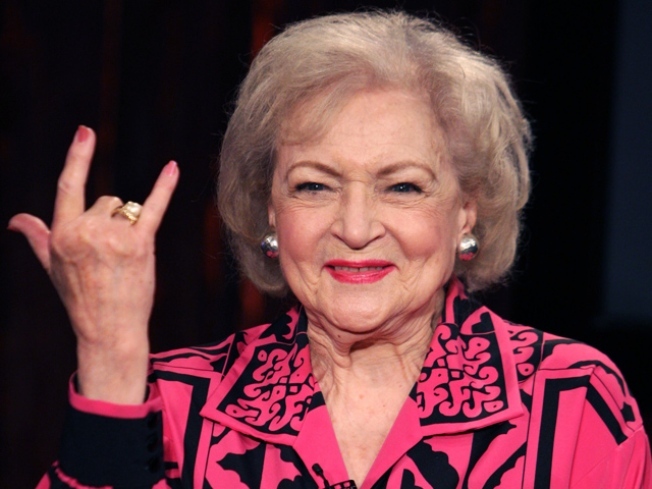 Actress Betty White visits Fuse's "No. 1 Countdown" at fuse Studios on June 11, 2009 in New York City. At 88 years old, Betty White's still spry enough to host "Saturday Night Live" and have a new hit TV show with "Hot In Cleveland" – so how does she do it? "I go to bed about 1, 1:30 at night and I'm up at 6," Betty told Access Hollywood at the LA Zoo on Saturday, where she was honored for her decades of work with the zoo. "I don't need a lot of sleep and it's been that way all my life, so might as well not change it now." Another factor may be her love for animals, which she called "the biggest part of my life." "I don't know what [I'd] do without animals," she said. "That's why I've worked with the [LA[ Zoo for so long and with other animals organizations. I'm not into animal politics. I'm into animal well-being." She's also as big a star as ever. "Hot In Cleveland" earned 4.75 million viewers for its premiere episode last week – a TV Land record — and Betty's hoping the ratings will hold. "Let's hope it wasn't just sampling, let's hope people will come back next week," she said. Though Betty honored her "The Proposal" co-star Sandra Bullock on stage at the MTV Movie Awards earlier this month (and snuck in a few zingers, too), the star admitted she hasn't met Sandra's new addition. "I haven't met [her son,] Louis," Betty said. "But we talked about him, I heard a lot."